Last week, I was scrolling through Facebook and came across a video telling me that New York's hottest new drink for the summer is "frosé," or frozen rosé. 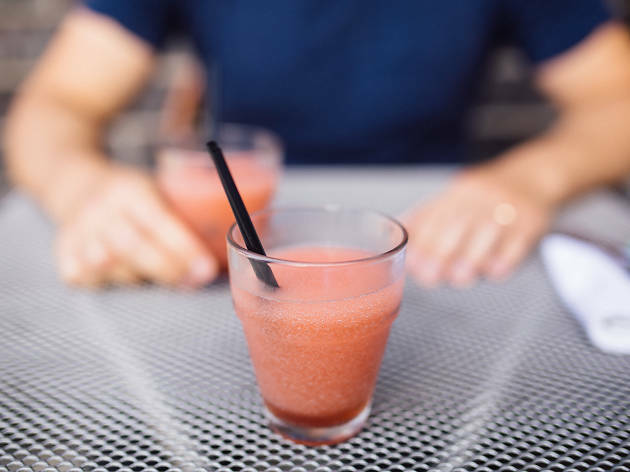 And for a week, I've been on the hunt for this summer patio sipper in Chicago. After all, what could be better than taking a light, crisp wine and making it colder for a refreshing blast that we so desperately need in the summer heat. We found six spots to get this cold concoction for all your patio brunching needs. Publican Quality Meats: Chandon sparkling rosé, simple syrup, lemon juice, Aperol and Pimm's make up PQM's frozen rosé, available during weekend brunch for $9. Gelato Bar at Eataly: You'll have to wait for a few days, but stop by the Gelato Bar beginning on August 12 to grab a rosé granita while you wander the aisles. Nosh & Booze: Combining the trendy new ice pop cocktail with rosé, the Rosé O'Donnell features AIX rosé, Aperol, banana liqueur and orange juice for $11. Green Street Local: In both a large and small format, the Frosen combines rosé and St. Germaine and comes in a small size for $13 or a shareable 40-ounce version for $25. Tortoise Club: If you'd rather have your rosé in a bowl with a spoon, stop by Tortoise Club. Its rosé sorbet is infused with the wine and topped with raspberries for $5.95. 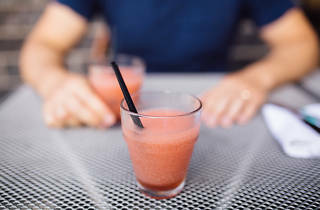 Expat: These boozy sno-cones may not be new to the menu, but you can grab a rosé flavored one (or a watermelon-ade and tama-rita flavor) at the West Loop sidewalk café for $6.